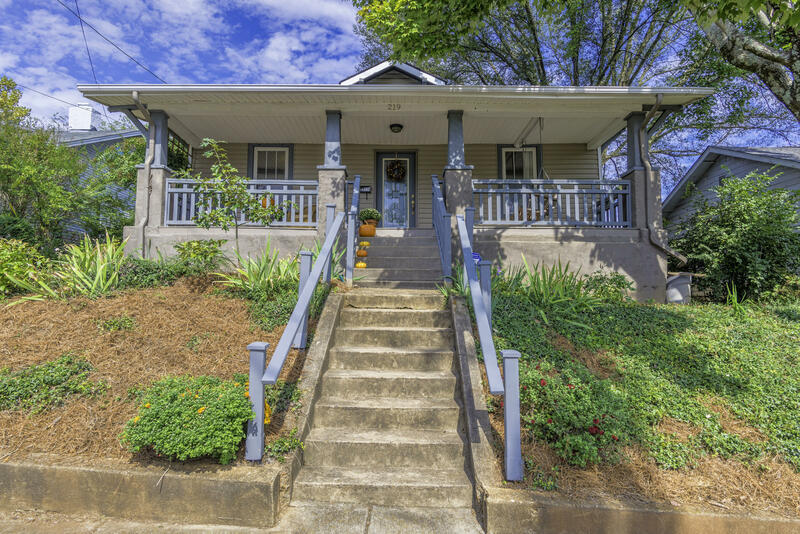 Charming, petite Cottage in the heart of North Knoxville. 2BR/2BA or 1BR/Office or Dining Rm. All updates complete & move-in-ready. Appliances remain. Located just steps from Greenway & short walk or bike ride to Happy Holler & Downtown. Postage stamp, landscaped yard with room for grilling outside & pets, but no lawnmower required. Front Porch ready to enjoy with custom Balustrade. Custom built-ins in Living rm & Kitchen.